Caricature of Wayne LaPierre the vice president of the NRA. 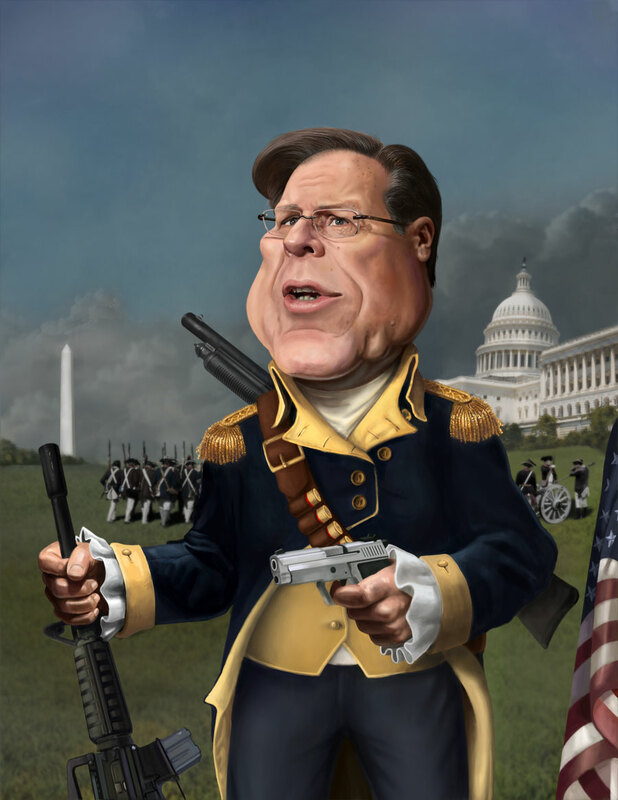 I illustrated him wearing George Washington's uniform and leading a force onto the capital. Being the most televised and vocal advocate of guns, and the raging gun debate I had to get this vision out of my brain.